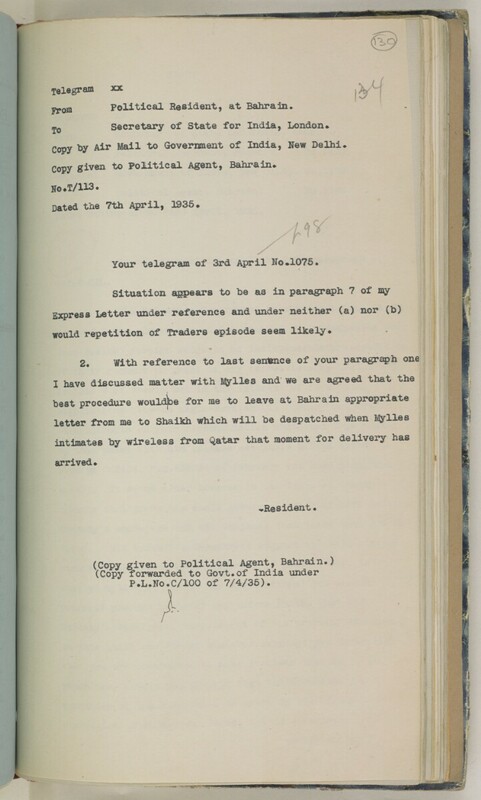 Dated the 7th April, 1935. Your telegram of 3rd April No.1075. would repetition of Traders episode seem likely.